The 1904 restructuring of Clergue’s companies, accompanied by the Ontario government bailout, saved the Sault’s fledgling steel and paper industries. Over the course of the next century, the paper mill operations changed hands on several occasions. 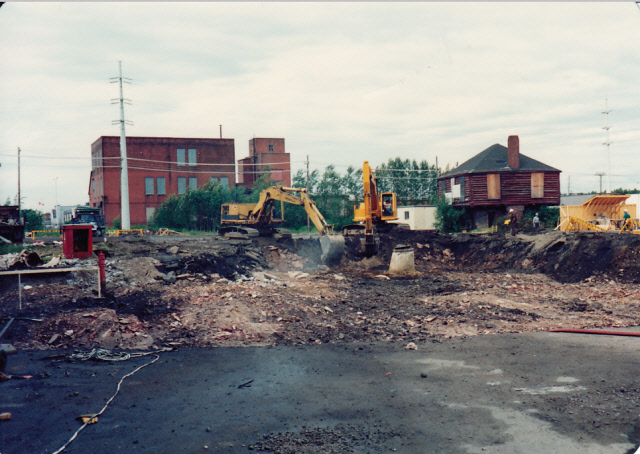 Technological advances were important factors as the mill operations continually evolved to suit commercial demand. In 1910 the newly formed Superior Paper Company made improvements to newsprint production at the mill. The ambitious new owners began operating four paper machines. In 1915 the Spanish River Pulp and Paper Company acquired the mill. Under new ownership, the Sulphite Mill was doubled in capacity between 1915-17. New wood digesters were installed and major improvements made to the groundwood Pulp Mill. In 1928 new owners again acquired the mill. The Abitibi Power and Paper Company would improve the existing paper machines which operated until the end of the War. Ann Zeppa is a lifelong Sault Ste. Marie resident. Her father, husband, and children were all employed at the paper mill in different capacities. Ann Zeppa shares a memory of her husband’s career at the paper mill. In this audio recording Ann Zeppa shares a memory of two of her children who had summer jobs at the mill. 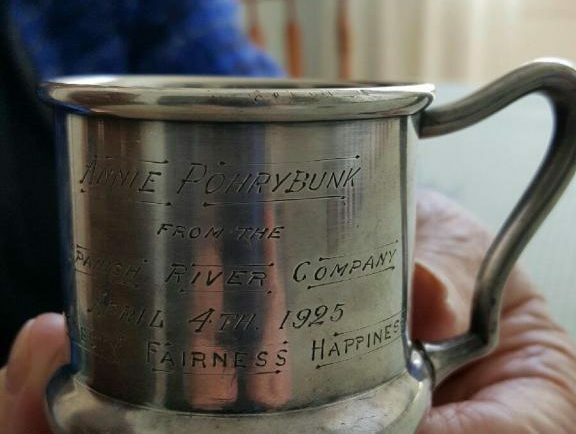 Ann Zeppa gives an oral account of a silver cup she was given by the Spanish River Pulp and Paper Company. 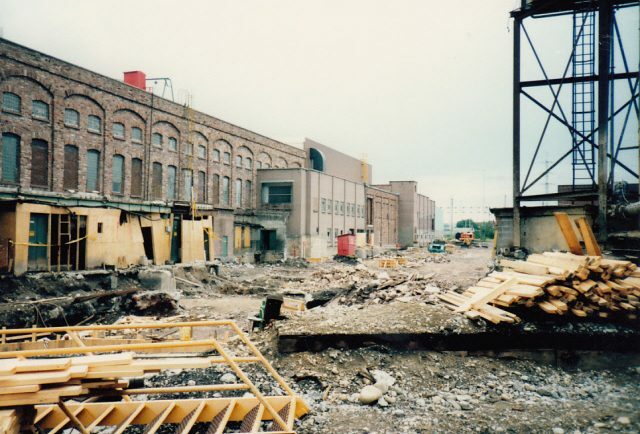 After 1946 the mill went through a phase of major modernisation and all aspects of the works were upgraded. Production capacity rose to 400 tons per day. A Central Research Division was established to encourage further improvement and development. Ann Zeppa shares a story about her father, who died shortly after an accident at the mill. The mill had social as well as economic impact. 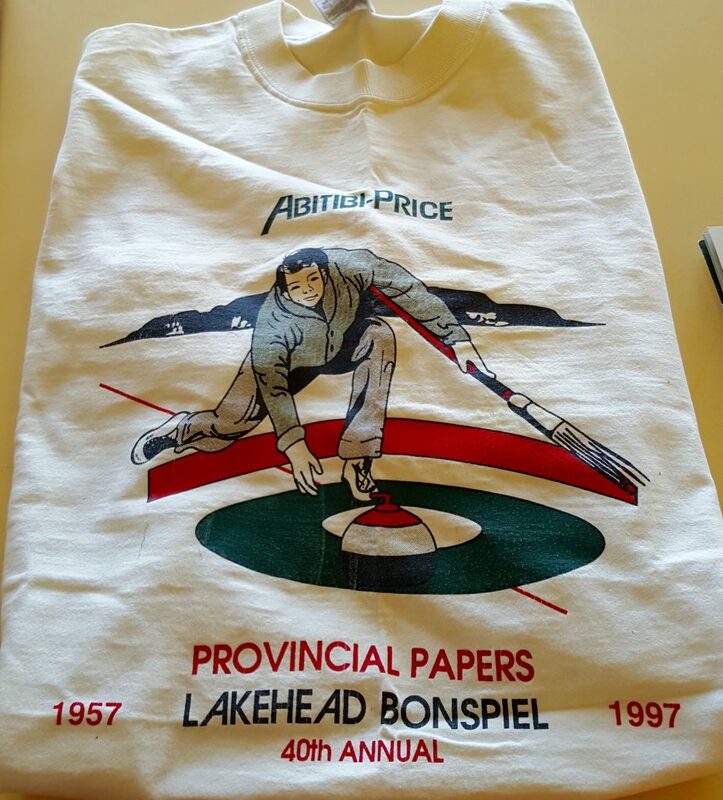 Workers fondly remember the curling and golf leagues organized by employees. 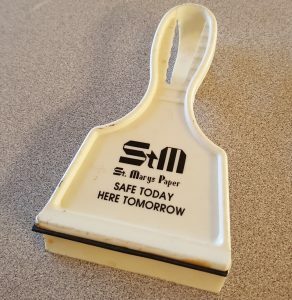 In 1987 the company changed hands and became St. Mary’s Paper. 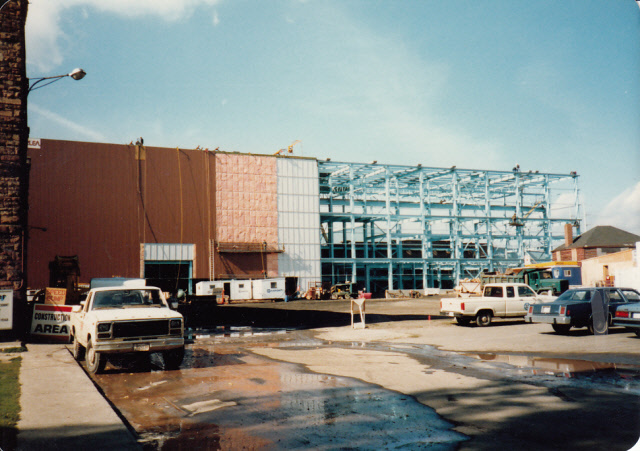 Major investment in the mill was made with the conversion of two paper machines to produce supercalendered paper – a smooth and glossy product. A fifth paper machine was added during this period, further boosting production. 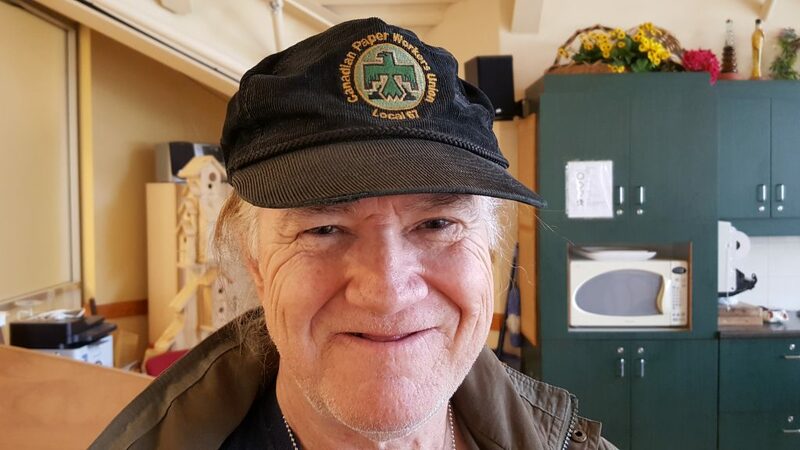 Bob Biagini, a retired St. Mary’s Paper Mill employee, gives an account of the different machinery he worked with at the paper mill over the years. Despite the investment, this would prove a very difficult period for St Mary’s Paper, which was restructured on three separate occasions between 1993 and 2011. 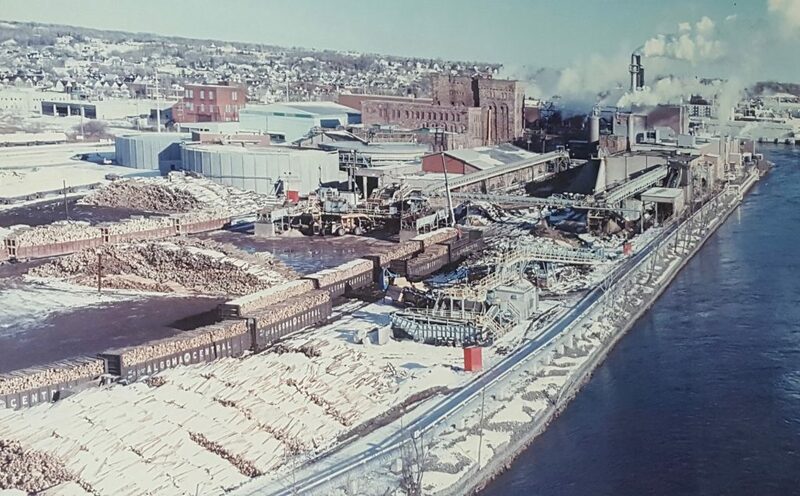 The mill produced its last paper in 2011, and then sat idle until 2013 when Riversedge Developments purchased the site and began its salvage and redevelopment operation. Although the factory is closed, generations of past employees still live in the city. 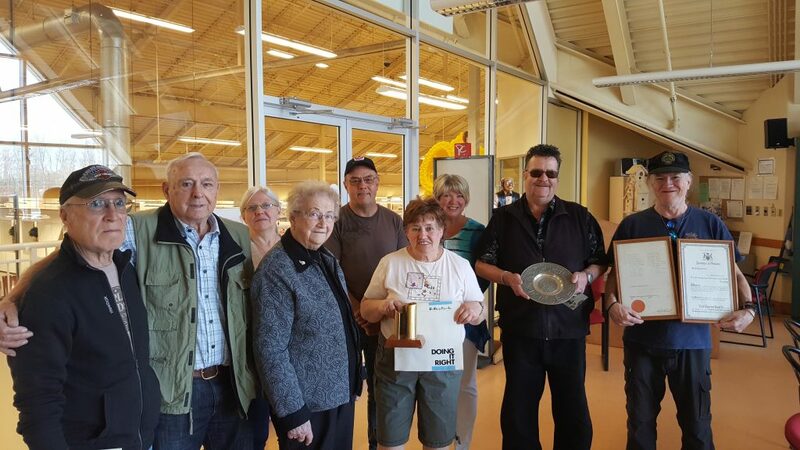 One group of former workers began meeting to share memories and preserve the history of their factory. A multi-generational group, their stories span decades. They hope the industrial heritage of the city can be preserved long after their numbers have dwindled.